On December 11, 1980 at 5:30 a.m., Indianapolis Police Sergeant Jack Ohrberg and other officers went to 3544 North Oxford in Indianapolis attempting to serve papers on persons believed to be at that location. Ohrberg banged on the door several times and identified himself as a police officer. Two other officers on the front porch were in uniform. After the next door neighbor told officers that there was noise from inside the apartment, Ohrberg crouched and pounded with his shoulder on the door, which began to open. Officers saw furniture blocking the door, and saw 2 or 3 muzzle flashes from two different locations inside. Ohrberg was shot and collapsed on the porch. Officers took cover and saw a man come out onto the porch, point a rifle, and fire at least 2 additional shots into Ohrberg. Officers took cover and returned fire. Shots continued to come from inside the house. After a few minutes, Gregory Resnover came out, threw down an AR-15 rifle and surrendered. Earl Resnover followed, laying down an AR-15 and a pistol. Ohrberg's business card was found in Earl's wallet. Two women then came out, leaving wounded Smith inside. An AR-15 which was recovered next to Smith was found to be the murder weapon. An arsenal of weapons and ammunition was recovered inside the apartment. Accomplice Smith was also sentenced to death and executed July 18, 1996. Resnover v. State, 460 N.E.2d 922 (Ind. March 19, 1984) (Direct Appeal). Resnover v. Indiana, 105 S. Ct. 231 (1984) (Cert. denied). Resnover v. State, 507 N.E.2d 1382 (Ind. 1987) (PCR). Resnover v. Indiana, 108 S. Ct. 762 (1988) (Cert. denied). Resnover v. State, 547 N.E.2d 814 (Ind. 1989) (PCR). Resnover v. Indiana, 111 S. Ct. 216 (1990) (Cert. denied). Resnover v. Pearson, 754 F.Supp. 1374 (N.D.Ind. 1991) (Habeas). Resnover v. Pearson, 965 F.2d 1453 (7th Cir. 1992) (Affirmed) (Habeas). Resnover v. Carter, 113 S. Ct. 2935 (1993) (Cert. denied). He refused a last meal and shower he was offered. EXECUTED BY ELECTRIC CHAIR 12-08-94 12:13 A.M. Originally venued to Hendricks County. By agreement, returned to Marion County, with Hendricks Circuit Judge Jeffrey V. Boles presiding. Conviction Affirmed 5-0; DP Affirmed 5-0 Pivarnik Opinion; Givan, Hunter, Debruler, Prentice concur. Affirmed 5-0 Givan Opinion; Shepard, Debruler, Pivarnik, Dickson concur. Affirmed 4-1 Pivarnik Opinion; Shepard, Givan, Dickson concur; Debruler dissents. (Petition for Habeas Writ denied by Judge Allen Sharp, U.S. District Court, Northern District of Indiana. Resnover v. Pearson, 9 F.3d 113 (1993) (Petition for Judgment Relief denied). Resnover v. Carter, 113 S.Ct. 2935 (1993) (Cert. denied). Resnover v. Carter, 114 S.Ct. 16 (1993) (Rehearing denied). Resnover v. Carter, 114 S.Ct. 2769 (1994) (Cert. denied). Resnover v. Carter, 115 S.Ct. 29 (1994) (Rehearing denied). Resnover v. Indiana, 115 S.Ct. 658 (1994) (Application for stay denied). RESNOVER WAS EXECUTED BY ELECTRIC CHAIR ON 12-08-94 AT 12:13 AM EST. HE WAS THE 73RD CONVICTED MURDERER EXECUTED IN INDIANA SINCE 1900 AND 3RD SINCE THE DEATH PENALTY WAS REINSTATED IN 1977. RESNOVER WAS THE FIRST CONVICTED MURDERER TO BE EXECUTED AGAINST THEIR WILL IN INDIANA IN OVER 30 YEARS AND THE LAST TO BE EXECUTED BY ELECTRIC CHAIR. The state of Indiana has committed the first involuntary execution of a death row prisoner since the 1960's. The highly controversial case of Gregory Resnover, now Ajamu Nassor Resnover, had the state claiming that Resnover shot and killed a pig who was crashing through his front door in Indianapolis a number of years ago. Ajamu has sat on death row ever since, and on December 8th, 1994, was murdered in the state's electric chair. In September, Ajamu was moved to a segregated housing unit, only a few short months after his brother Kondo was moved from the same prison as Ajamu down to the brutal supermax at Carlisle, Indiana.... The rest of the death row at Michigan City, which had been on lockdown since [an] escape attempt, was transported en masse to the MCC at Westville...,leaving only Ajamu Nassor Resnover on the Row. Meanwhile, prison officials tightened up security and reinforced cells and bars all over the death row unit. On November 23rd, the Indiana Parole Board, after a clemency hearing held in Indianapolis court, rejected Ajamu's bid for clemency, leaving the matter in the hands of Governor Bayh. Ajamu's attorney, Robert W. Hammerle, spoke to the board, pointing out the extremely poor amount of evidence against Ajamu in the killing of Indy detective Sgt. 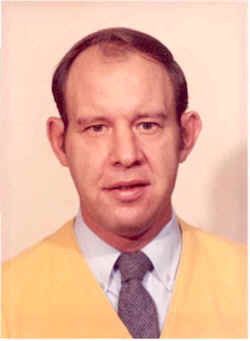 Jack Ohrberg. Hammerle displayed a letter from former chief deputy prosecutor David Cook, the lead prosecutor in Ajamu's original trial, who said that there was "a masterful misrepresentation of facts" in the case. He also quoted Indianapolis mayor Stephen Goldsmith who said "Gregory Resnover is not the person who killed Jack Ohrberg." Also on hand to testify was Ohrberg's daughter, Cindy Shoudt, who seemed to feel that killing Ajamu would bring back her father, and certainly didn't seem interested in whether Ajamu was guilty or not. She pleaded with the board to deny him clemency. They denied it, leaving the matter in Bayh's hands, and no one was surprised that Bayh refused. As the date drew nearer, the NAACP sent petitions with thousands of signatures on them in support of Ajamu's life (something he said he "appreciated," before he died). Desperate, last-minute attempts to save Ajamu's life were made by his attorneys and many others. His supporters pointed out, among all the other discrepancies in the case, that a white man convicted of killing a cop (supposedly a "capital crime" in Indiana) was freed after seven years in prison less than 15 years ago, while Ajamu was on his way to death. But on Wednesday the 7th, as the sun set, police and press began to flood the area around the prison in Michigan City. Police were everywhere, blocking off many roads to the area, and TV trucks could be seen from Ohio, Kentucky, Illinois, and all over Indiana, not to mention all of the newspaper and other reporters. The press swooped on anyone they could find, and one of the first people they found was Eric McCauley and Virginia Burns of South Bend's Human Rights Coalition, who were there to witness the execution, at Ajamu's request. The two were interviewed extensively until Bill Pelke, head of Murder Victims' Families for Reconciliation (MVFR, an anti-death penalty group) called to order the 9:00 press conference that had been scheduled. He spoke briefly, as did Ajamu's brother and cousin, Kevin, who attacked the press, calling them "unjust and unGodly" and holding them responsible for their role in Ajamu's death. Ajamu's family spoke in his defense before the press and were hounded with every move they made before finally entering the prison walls. Meanwhile, large crowds of protesters continued to cover the area, holding signs and chanting, "Not in our name!" and "The death penalty has got to go!" Shortly a crowd of death penalty supporters gathered in the area, holding signs like "Justice is 50,000 volts through quivering, cop-killin' flesh" and other barbaric and uninformed slogans. These people, many of whom were cops and none of whom seemed to care that Ajamu was innocent (by the state's own admission - governor Bayh, in his explanation of letting Ajamu be murdered, said that, though Ajamu DID NOT kill Ohrberg, he probably did kill a Brinks' guard he was accused of killing as well, so Ajamu was a "criminal" and should be put to death). The pro-death crowd began to become more and more violent, pushing and shoving anti-murder demonstrators; a fierce verbal debate ensued, which finally calmed down only after the anti-murder demonstrators put a stop to it. At 11 p.m., the witnesses were allowed to enter the prison. Besides McCauley and Burns, other witnesses included Ajamu's 18 year-old son, a Goshen minister, an Indianapolis Star reporter, and other members of Ajamu's family. Governor Bayh, Indy mayor Stephen Goldsmith and prosecutor Jeff Modisett all refused Ajamu's invitation to witness the murder to which they sent him. Ajamu's father and many other members of his family who were not witnesses held hands and offered a prayer for him as the moment drew near. Ajamu was led out of the "waiting room" he had been in since that afternoon (he had refused the last meal and shower they offered him) and strapped into the chair. His face was covered with a black hood, which the state required him to wear even though he asked not to. He had given his final statement to his lawyers several hours beforehand, so he made none. 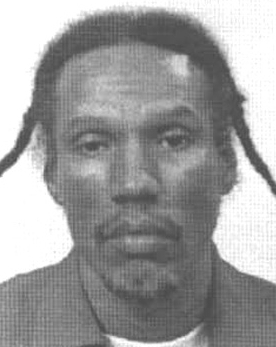 At 12:01 a.m. on December 8th, the execution began; Ajamu Nassor (Gregory Resnover) was pronounced dead at 12:13. Outside, protesters, who had been chanting loudly, were quieted as Ajamu's family, shaken and weeping, cut through the crowd and left. Some witnesses, many of whom were asked to witness so that they might report what they saw to others and create a movement to end the death penalty, did indeed tell the press graphically of the sights they saw. Eric McCauley and Virginia Burns reported that Ajamu was still even before the switch was pulled and remained so, even as they saw "sparks shooting out of his head" and final jerking motions, and smelled burned flesh. The Star reporter wrote something of a riveting account of the execution in the Star of the 8th; we print even the brief description above only in hope that it might make the People who don't already know aware of the barbaric reality of the "death penalty." Ajamu's attorney Hammerle, who was stopped by the press on his way out of the prison (he also witnessed the murder), was quite visibly shaken and outraged, calling the whole thing "barbaric" and stating that "we don't even know who we are" here. A Dept. of Corrections [sic] spokeswoman came out and made the official pronouncement of death to the press; she was choking and weeping, which did not stop angry protesters from calling her a murderer and saying "You all are going to burn in hell for this!" and "You'll have to answer to God for this!" Ajamu's supporters vowed that his death would not be in vain, and of course it won't. The funeral procession carrying his body journeyed to Indianapolis on the afternoon of the 8th, with many cars stopping at the governor's mansion in Indianapolis, honking horns and waving signs as the press looked on. It was clear that Bayh will be held accountable for the premeditated murder he committed (one he committed strictly for political gains). As we go to press, we have heard that someone (unidentified, but not affiliated with the procession) fired a gunshot at Bayh's mansion on the 9th, though no one was injured. Ajamu Nassor-Resnover touched many lives while he was alive; no one who knew him well was in favor of his death. Even the prison warden at Michigan City choked up on the phone with him during the last week of his life, and guards there sat up nights crying as they spoke to him in those final weeks. He was a warrior for the cause of justice, especially justice for Afrikan people, and he knew that his death was a racist move, a political move and a move put forth by a brutal state and country. He died calmly, having said earlier that if the state did kill him, it must be the will of Yahweh. Again, however, his death will NOT be in vain. Excerpted from The New Freedom: The Voice of Indiana's Liberation Struggle, Winter 94/95, P.O. Box 14, Culver, IN 46511. MICHIGAN CITY, Ind., Dec. 8 (Reuter) - Convicted cop killer Gregory Resnover, 43, died in Indiana's electric chair early Thursday, the third person executed in the state since the death penalty was restored in 1976. It was the first Indiana execution since 1976 carried out over legal objections from the condemned. In the other two cases both men had waived appeals. Resnover's lawyer had pursued appeals until a few hours before the end came in the 19th century walled state prison in this northern Indiana town. A small group of death penalty opponents stood vigil in freezing weather outside the prison while the execution took place. An Indianapolis policeman was shot to death in December of 1980 during a raid on a gang of accused bank robbers to which Resnover belonged. One of the robberies had resulted in the slaying of a Brink's armoured car guard. It was one of Resnover's companions who fired the actual shots that killed John Ohrberg, a 19-year veteran of the police force. But Resnover said that he also fired shots at police during the confrontation, and he was also convicted of the murder. In later appeals, however, his lawyers cited evidence that he fired no shots in the raid and may have lied to protect a younger brother, the third member of the gang, who was not charged with the policeman's death. Resnover was also later convicted of killing the Brink's guard but it was his involvement in the policeman's death that put him on death row for the past 13 years. Since 1897 Indiana has executed 74 men. It has used the electric chair since 1914. In the years since the death penalty was restored there have been 256 executions in the United States, including Thursday's. Every local TV news department sent live crews to Michigan City to cover the execution of Gregory Resnover last week, but the coverage gave off more heat than light. Once again, Channel 13, and especially correspondent Jane Harrington, led the pack in terms of having the information first and best. (Of course, the TV stations, for once, were chasing the print media in this case, specifically Star writer Lynn Ford, who obtained an exclusive interview with Resnover.) To its credit, Channel 13 interrupted Late Night With Conan O'Brien several times for live coverage from outside the prison, and also carried the post-execution news conference live, ending its coverage only after the prison spokesman admonished the reporters not to leave, that the press conference wasn't over. While Channel 8's live coverage was up to its usual standards, an unfortunate faux pas tarnished its impact. At 12:35 a.m. Thursday, the station went to a black screen instead of running its scheduled program -- ironically, the station's post-Dave show is Last Call. Instead of going to a live report, viewers were treated to more than a minute of open-mike studio chatter and laughter from newsroom staffers -- inappropriate to the serious nature of the story, one may feel. But anyone who's spent time around a newsroom knows that kind of stuff goes on all the time. Back to the Resnover case: The strongest editorial opinion, as usual, came from Recorder columnist Amos Brown, who asked Evan Bayh, "Governor, why? You couldn't have stayed it a few weeks, while the doubts and questions were either being answered or explained? Is running for a job in Washington really that important to you?" Bob Hammerle decided he would look. Despite advice that he simply glance away, Hammerle would keep his eyes focused on Gregory Resnover as 2,300 volts of electricity surged through the convicted man's body -- jolting it up in the wooden chair against straining leather straps, sending a flash of flame and a wisp of smoke up from his head, and permeating the room with the sickly sweet scent of burnt flesh. As Resnover's heart stopped, Hammerle's heart pounded. As Resnover's life ended, Hammerle's life was wrenched. Resnover's eyes were hidden by a black hood, and Hammerle couldn't turn his eyes away. Now, 6 years later, the criminal defense attorney's opposition to the death penalty remains strong -- intellectually, philosophically, emotionally and morally. But he can't do the legal work anymore. He cannot represent a client who faces the death penalty. Not since Resnover. "I can't deal with it when somebody's life's on the line," he said, furiously wiping away tears after recounting the last minutes of Gregory Resnover's life. "Because you can't have this happen. "I mean, you've got to stay detached, and I can't anymore." Last year, the Republican governor of Illinois, a death penalty supporter, issued a moratorium on executions after a series of people on death row were exonerated. Gov. Frank O'Bannon subsequently directed a legislative study commission to take a look at Indiana's laws and procedures to ensure the death penalty was being fairly applied, but he stopped short of a moratorium. Hammerle said in the long run, he is confident the death penalty will be abolished. He continues to speak out against capital punishment in many settings -- but not in courtrooms. Hammerle had been involved with only a few death penalty cases before Resnover's and was on the Resnover case for only 7 months, when lawyers had exhausted all court appeals. He had long been a passionate voice against capital punishment, however, and joined Resnover's legal team for the final rounds of the battle for Resnover's life. Hammerle was brought on board to argue for clemency before the parole board and to be the point-person for the media. He became as close to Resnover as the rest of the team, and continues to argue even now that Resnover was executed based on a court record filled with errors. His passion about the Resnover case is something he believes even Jack Ohrberg would have understood, he said, recalling a difficult case in which Ohrberg, by testifying truthfully, hurt the prosecution's case. Ohrberg was a man of integrity, and the law mattered to him, Hammerle said. That's why he could reconcile his grief for the slain officer while he worked on behalf of Resnover. "It was what Jack Ohrberg would have expected me to do," Hammerle said. When all of Resnover's appeals were gone and an execution date loomed, it was Hammerle who was chosen to watch -- to ensure that Resnover knew an advocate was with him, and to be a witness should something go wrong. It was a role no one on the legal team wanted, but all agreed someone had to see through. It's not unusual for attorneys who watch their clients be executed to never take a death penalty case again, said George Kendall, staff attorney with the NAACP Legal Defense Fund in New York. "It asks too much of people," said Kendall, who has witnessed 4 executions. "It's the worst experience I've ever had." It was Kendall who advised Hammerle, in a long distance call from New York to the car that was taking Hammerle to Michigan City's Indiana State Prison, to look away for the 1st jolt. Kendall had been there, and he wanted to spare Hammerle the horror. Instead, Hammerle absorbed the execution completely. It would give him nightmares, leave him weeping whenever he recounted it and send him to therapy. And the day after Resnover was executed, the legal team made a decision that would haunt Hammerle in another way -- they drove Resnover's body back to Indianapolis and paraded it in a caravan around the governor's residence. Then-Gov. Evan Bayh was serving as host of a Christmas party and many of the guests were friends of Hammerle's. The caravan was a protest, one that seemed logical to the frustrated and heart-broken attorney at that time, but it left him ostracized from the Democratic "in" group, which didn't appreciate the timing or the tone of the demonstration. For Hammerle, a social man who thrives on human interaction and conversation, the long-term fallout was devastating. Even today, while he won't actually say he regrets the decision to take Gregory Resnover to crash the governor's Christmas party -- he remains loyal to the cause and devoted to his colleagues -- it's the one aspect of his advocacy for Resnover that gives him pause. "I'm tormented by the possibility that somehow, I tarnished the whole thing," he said. "I was fearful of that." Still, friendships were lost. Over the long term, the stress also contributed to strain on his marriage to Monica Foster, his law partner at the time and a leader of Resnover's legal team. Their divorce is now pending. Foster and Rhonda Long-Sharpe, who also was on the Resnover team and part of Hammerle's Indiana Avenue law practice, have left to open their own firm. They will concentrate on the kind of legal work that Hammerle has left behind -- capital punishment. In the days, months and years since the execution, Hammerle has endured symptoms of post-traumatic stress syndrome similar to the battle-fatigue of war veterans and others who have been traumatized. "He would wake up in the middle of the night screaming, and that was something he never did before,'' said Foster, who remains close to Hammerle. Foster was at a nearby motel during the execution, but she wasn't left unscathed by it. "I didn't get out of bed for 2 months," she said. "When I finally did get up, I seriously questioned whether I was going to go back to work." Eventually, she did -- and she credits Resnover with helping her do so. Foster also still can't get through a discussion about Resnover without choking up, which she did as she recounted her last visit with him. He told and Long-Sharpe that their efforts had given him dignity. "He said, 'Keep fighting for these guys.' And we said, 'That is the one thing that we cannot promise you.' He said, 'Give it a couple of days or a couple of weeks. If you feel the strength to represent people back here, then you will know that I will be helping hold you up.'" At first, Hammerle tried to do more death penalty work, too. He took one case within a year or two of Resnover's execution, but had to be excused because he had once represented a witness for the state. But during the time he was on the case, Hammerle said, he realized he was hoping to be removed from the case. For the realization that he can no longer represent clients facing the death penalty, he offers this baseball metaphor: A batter who has been beaned by a fastball might never be a reliable hitter again, because he flinches. A defendant who faces the death penalty, Hammerle says, can't afford an attorney who flinches. Ohrberg, a homicide investigator, was following up on the investigation into the August 4 robbery and slaying of a Brink's Guard at the K-Mart store at 4150 N. Keystone Avenue. Re-examining leads on the Brink's case, Ohrberg and his partner, William H. Burgess, began to develop information linking it with a bank robbery of the American Fletcher National Bank branch at 2955 Northwestern Avenue on February 6. The detectives compared notes with the FBI and concluded they had enough information to make arrests on the bank robbery. A probable cause hearing on the bank robbery was held at about 4:00 pm on the prior day in Municipal Court 4 before Judge Roy Jones. Jones said Ohrberg was very concerned about the arrests and wanted to keep everything quite. He wanted to serve the warrants himself; he knew they were dangerous. Thursday morning, an hour or so before the raids to serve the warrants, Ohrberg and the other policemen who were to participate in the arrests met in the homicide office. Three teams of four policemen simultaneously went to three locations. One team, led by Burgess, went to one accomplice's residence and arrested her without trouble. Lt. James Strode led the second team to the 3300 block of Meadows Court where they expected to find two of the subjects -- Earl and Gregory Resnover. The apartment was empty. What the detectives hadn't expected was that the Resnovers would be with another subject, Tommie J. Smith, at a one-story brick duplex on Oxford Street. Ohrberg went to the Oxford Street house with five other policemen. About 5:30 am, while some of the arrest team watched the back of the house, Ohrberg and Patrol Officer William J. Foreman, approached the front door. Ohrberg knocked loudly on the door several times, and when no answer was heard, he sent a patrol officer to a neighboring house to ask if the Smith residence was occupied. When the neighbor said he thought someone was home, Ohrberg knocked again, pounding on the door as he announced that the police were there and the house was surrounded. When no sound was heard, Ohrberg shouted that he was going to kick the door down. He also spoke those words into his police radio transmitter, alerting the other police officers. When he kicked the door, it only opened 8 to 10 inches, as if something was barring the way. As Ohrberg tried to force his way in, two shots rang out. Foreman dropped to the ground and in the dark heard Ohrberg shout, "Oh, no. I've been hit. Get help." One man -- believed to be Smith -- leaned out the door and raked the wounded detective with several blasts from an automatic military rifle. The other officers at the scene returned fire. They then took cover as the assailant retreated into the house. Police called for assistance of the SWAT team. Subjects in side the residence called out that they wanted to talk and that they had women inside and wanted them to be allowed out first. Police rejected these requests, insisting that all those inside surrender and that the weapons be thrown out. Shortly, several guns were tossed out the door; then the Resnovers exited, followed by two women. Tommie L. Smith remained in the house. Shortly before 8:00 am, SWAT fired 12 tear gas canisters into the house, with one landing on the couch, setting it on fire. SWAT officers then stormed the house, finding Smith laying on the living room floor in a pool of blood, under a brown leather coat. Smith was removed from the house on a stretcher to an ambulance and taken to hospital. In all, five subjects were arrested. Gregory Resnover was electrocuted on December 8, 1994. Tommie Smith was executed by lethal injection in July 1996. Born at Brooklyn, New York, Sergeant Ohrberg lived in Indianapolis 38 years. He joined the police department in 1961. A grandfather of one and father of four,Ohrberg was survived by his wife, Diana. Memorial services were held in Shirley Brothers Irving Hill Chapel. In keeping with Sergeant Ohrberg's stated wishes, there was no funeral procession past IPD headquarters. Defendant was convicted in the Marion County Superior Court, Criminal Division, Jeffrey Boles, Special Judge, of conspiracy to commit murder and murder, and was sentenced to fifty years imprisonment for conspiracy and to death for murder. Defendant directly appealed. The Supreme Court, Pivarnik, J., held that: (1) Indiana's death penalty statute is constitutional; (2) Superior Court adequately followed standards and guidelines prior to imposition of the death penalty; (3) prosecutor's discretion to file a capital punishment count was permissible; (4) manner in which imposition of the death sentence is automatically reviewed contains no latent constitutional infirmities; (5) defendant's motion for continuance due to prejudicial publicity was properly denied; (6) testimony of police officer, news reporter, and fellow jail inmate concerning statements made by defendant were admissible; (7) tape recording of police radio communications was admissible; (8) officer was properly allowed to testify during penalty phase of defendant's trial; and (9) death penalty was not arbitrarily or capriciously imposed upon defendant, and was reasonable and appropriate in his case. Affirmed and remanded. Defendant-Appellant Gregory Resnover was found guilty by a jury in the Marion Superior Court of conspiracy to commit murder and murder. The trial court sentenced Appellant to fifty years imprisonment for conspiracy and to death for murder. 8. whether the trial court erred by sentencing Appellant to death when it was asserted that he was not the "trigger man." The evidence adduced during trial showed that at approximately 3:00 a.m. on December 11, 1980, Indianapolis Police Sergeant Jack Ohrberg met Sergeant Lewis J. Christ to serve papers on certain individuals believed to be at 3544 North Oxford Street in Indianapolis. Sergeant Ohrberg and Christ subsequently were joined by other officers before arriving at the duplex residence at 3544 North Oxford at approximately 5:30 a.m. With Officers Schneider and Harvey standing watch in the rear, Ohrberg, Christ and Officers Ferguson and Foreman proceeded to the porch and front door. Foreman and Ferguson were in uniform. Ohrberg knocked loudly several times and identified himself as a police officer. He then went to 3546 North Oxford, the adjacent other half of the double residence, and checked with Sandra Richardson to ascertain whether any persons were known to be inside the 3544 address. Richardson told Ohrberg that she had heard noise come from 3544. Ohrberg returned to 3544 and again pounded on the front door and announced himself as a police officer. Ohrberg then assumed a crouched position and started to use his right shoulder to batter the door which, after a few hits, began to open. Ohrberg continued to hit the door placing his body partially inside the door. Foreman was shining a flashlight over Ohrberg's head since it was dark inside the residence and Foreman wondered why the front door would not fully open. Looking inside the house, Foreman saw some furniture blocking the door. Sergeant Christ also saw the furniture. As Foreman looked inside, he suddenly saw a burst of muzzle flashes and heard two, possibly three, shots in quick succession. The simultaneous muzzle blasts came from two separate locations approximately eight to ten feet apart. Christ also heard shots emanate from inside the residence. Ohrberg said: "Oh, no, I've been shot" or "I've been hit" and then stepped back two steps, sank to his knees and collapsed on the porch. Taking cover, Christ saw a person with an "Afro" type hairstyle emerge from the dark doorway onto the porch and fire at least two additional shots into Sergeant Ohrberg. Shots also were being rapidly fired from within the residence. When Christ returned the gunfire, the man on the porch quickly retreated inside the building. Ferguson also saw the person stand over Ohrberg and fire his rifle into Ohrberg. Ferguson specifically testified that he could see the muzzle flash as the rifle was fired. Ferguson fired at the gunman and then ran around the corner of the house where gunfire continued to be directed at him. After more shooting, a man identifying himself as "Gregory" called from inside the house and said "Let's talk." "Gregory" stated that there was an injured man inside and offered to send out the two women occupants. Christ refused to accept the women and ordered "Gregory" outside. "Gregory" then said that he would come out whereupon he stepped to the door, threw a weapon out into the front yard and walked onto the front porch with his hands raised. Christ identified this man as Appellant Gregory Resnover and identified an AR-15 rifle as similar to the weapon Appellant threw into the front yard. Ferguson also identified the man as Gregory Resnover. Earl Resnover subsequently followed Appellant out onto the front porch where he laid down an AR-15 rifle and a Smith and Wesson revolver. Two women lastly walked out of the house leaving wounded Tommy Smith alone in the building. Foreman testified that the four came out of the house approximately ten to fifteen minutes after the initial burst of gunfire. Forensic pathologist Dr. James A. Benz performed an autopsy on the body of Jack Ohrberg. Benz testified that Ohrberg died as a result of multiple gunshot wounds. He specifically testified that one bullet perforated Ohrberg's abdominal wall and external iliac artery and completely severed his iliac vein. Another shot lodged in the soft tissues of Ohrberg's back after fracturing parts of two vertebrae. A third shot entered his left side, fractured his tenth rib and bruised his lung. There were 600 mililiters of blood in Ohrberg's abdominal cavity. The weapons thrown into the front yard or left on the front porch were collected by Russell Bartholomew, a crime lab technician. Bartholomew testified that the weapon thrown down by Appellant was an AR-15 automatic rifle with live rounds. The weapons on the porch were another loaded AR-15 and a loaded .38 caliber Smith and Wesson revolver. Evidence technician Cosmos Raimondi recovered weapons, ammunition clips, bullets and shell fragments from inside the house after it was secured by police. Raimondi testified that he found: --one AR-15 rifle without clip but with one live round chambered; the rifle's clip was located nearby damaged but containing twenty-five live rounds; --one .30 caliber Universal carbine with one round chambered and a clip containing twenty-five rounds; --one rifle clip concealed in a bathroom light fixture; --one Mauser 7.65 automatic pistol recovered from underneath the front room sofa with one round chambered and one five round clip; --fifteen spent shell casings recovered from the front room and kitchen; --twelve live Smith and Wesson rounds for a .38 caliber Special pistol; --one .223 ammunition clip with twenty-five live bullets discovered hidden underneath the front sofa; --another .223 ammunition clip with twenty-six live bullets; --one ammunition pouch with seven live automatic bullets found underneath a cushion on the front sofa; --fifteen Smith and Wesson Specials and one WW .38 Special found lying loose on a coffee table; --one Memorex casette box with fifteen live .38 caliber bullets; --one AR-15 clip with thirty live .223 caliber bullets discovered in the rear bedroom; and --one black shaving case containing one knife, one empty Colt AR-15 clip, one ammunition clip possibly for a M-1 carbine and two hearing protectors. The AR-15 recovered from the front porch bore Appellant's fingerprints on the ammunition clip. Although this gun had fired eight of the recovered shell casings, it did not fire the bullet recovered from Ohrberg's body. The AR-15 found inside the house with its broken clip located nearby fired the bullet retrieved from Ohrberg's body. The broken clip appeared to have been dented by a bullet. Crime lab technician Robert McCurdy testified that he performed atomic absorption tests on swabbings taken from the arms of Appellant and Tommy Smith. Appellant's right arm had significantly higher amounts of barium and antimony, components of modern ammunition primer, indicating his handling or firing of a gun. The tests conducted on the swabbings taken from Appellant's left arm were inconclusive. McCurdy also recovered from Earl Resnover a billfold containing Sergeant Ohrberg's business card. The record shows that Appellant did, in fact, take a substantial part in the shooting at police officers which resulted in Sergeant Jack Ohrberg's death. The record clearly shows that Appellant knowingly and intentionally participated in this criminal activity which caused the death of a police officer who was serving in an official capacity. We therefore find and now hold that the death penalty as provided for by our statutes was not arbitrarily or capriciously imposed upon Appellant and is reasonable and appropriate in Appellant's case. The trial court is affirmed in all things including its imposition of the death penalty upon Appellant. This cause is accordingly remanded to the trial court for the sole purpose of setting the date when Appellant's death sentence is to be carried out. GIVAN, C.J., and HUNTER, DeBRULER and PRENTICE, JJ., concur. Defendant was convicted of murder. The Superior Court, Marion County, John W. Tranberg, Special Judge, denied defendant's petition for postconviction relief, and defendant appealed. The Supreme Court, Givan, J., held that: (1) defendant was not denied effective assistance of counsel; (2) defendant was not denied his privilege against compelled self-incrimination; (3) postconviction relief witness was properly permitted to assert her privilege against self-incrimination; (4) defendant was not entitled to reopen postconviction relief proceedings; and (5) sentence was not imposed by judge who was biased or prejudiced against defendant. Affirmed. Following a jury trial, appellant was convicted of Murder and Conspiracy to Commit Murder, a Class A felony. The court imposed the death penalty on the murder count and a fifty (50) year sentence on the conspiracy count. The convictions and sentences were affirmed on direct appeal. Resnover v. State (1984), Ind., 460 N.E.2d 922, cert. denied, 469 U.S. 873, 105 S.Ct. 231, 83 L.Ed.2d 160. Appellant's petition for post-conviction relief was denied, which adverse decision he now appeals. The circumstances surrounding the offenses for which appellant was convicted were detailed at length in our opinion on direct appeal, Id., at 926-27, as well as in our opinion in a companion case, Smith v. State (1984), Ind., 465 N.E.2d 1105, 1111-13. The facts relevant to this appeal will be discussed as they pertain to the issues raised by appellant. Appellant filed his post-conviction petition on October 10, 1984. After conducting two evidentiary hearings, the trial court denied the petition on July 19, 1985. Six months later, appellant filed a "Verified Motion for Relief From Judgment" in which he asked the court to set aside its judgment on his petition for purposes of a hearing and the consideration of additional evidence. That motion was also denied. Pursuant to a request by appellant, this Court consolidated the appeal from the denial of the post-conviction petition and the appeal from the denial of the motion for relief from judgment. Having failed to carry his burden of proof in the trial court, appellant is in the position of one contesting a negative judgment. Only if the evidence is without conflict and leads to but one conclusion, and the trial court reached an opposite conclusion, will we reverse that judgment as being contrary to law. Dillon v. State (1986), Ind., 492 N.E.2d 661. Initially, it should be noted that appellant has presented a number of allegations of error in this appeal which were either presented in his direct appeal or were available to him at that time. Issues raised and considered on direct appeal are not to be re-litigated in post-conviction proceedings. The trial court is affirmed. SHEPARD, C.J., and DeBRULER, PIVARNIK and DICKSON, JJ., concur.